uPVC Sliding Patio Doors made to measure at no extra cost. All our manufactured products are A-rated and are made using the best profile systems available on the market. Glass - Our glass is clear A rated toughened argon filled as standard. Why choose Our ModLok™ Patio Doors? 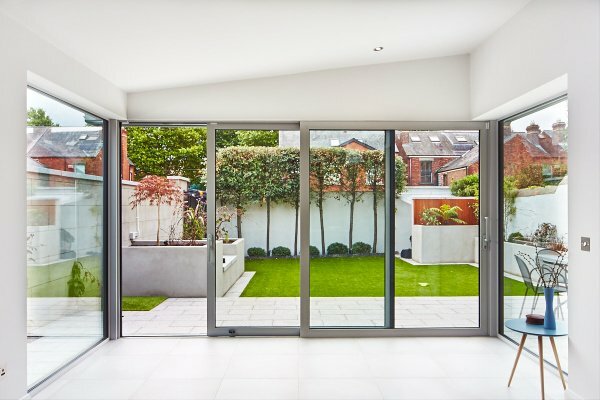 Whether you’re looking for a brand new patio door to provide better access to your garden, or you’re looking for a replacement door, you’ll be amazed at how different our stunning Liniar patio range is from other patio doors on the market. From the moment you touch the door, you’ll be struck by the ergonomic design, the effortless opening mechanism, the smooth motion and the noiseless glide. Fitted with Liniar’s revolutionary multi-wheeled ‘air glide’ system, our sliding patio door is perfectly balanced as it moves along its track. The sliding patio door isn’t a new invention and most doors available on the market today are still based on a historic design, which means they come with inherent challenges. Who hasn’t experienced a patio door that rocks on its track, or one that requires sheer brute force to open? Other patio doors have also built an unwanted reputation for making it easy for thieves to break into your home. Our design team have re-written the rule book with their innovative patio doors range – engineering in features such as a built-in decelerator and hidden ‘crash stops’ within the operating mechanism so as not to detract from the beautifully slim lines of the door. Not only that, Our Liniar door is one of the most secure patio doors money can buy. Our Liniar’s patented ModLok modular locking mechanism is built into the frame, delivering unparalleled strength combined with the highest levels of security. No more worries about break-ins, providing you and your family with peace of mind that your home is protected. Attention! This is a made to measure product and it is non-refundable from the point of confirmation. uPVC Sliding Patio Door - 2 panes made to measure at no extra cost. All our manufactured products are A rated and are made using the best profile systems available on the market. Profile - Lin.. Attention! 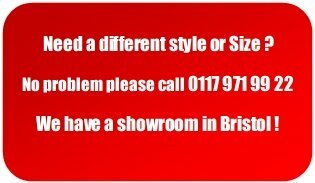 This is a made to measure product and it is non-refundable from the point of confirmation. uPVC Sliding Patio Door - 3 panes made to measure at no extra cost. All our manufactured products are A rated and are made using the best profile systems available on the market. Profile - Lin.. Attention! This is a made to measure product and it is non-refundable from the point of confirmation. uPVC Sliding Patio Door - 4 panes made to measure at no extra cost. All our manufactured products are A rated and are made using the best profile systems available on the market. Profile - Lin..